Looking for creative projects for your kids? It can be a challenge to think of new craft activities for the family but if you want it all wrapped up for you in a box then have a look at Kiwi Crate. 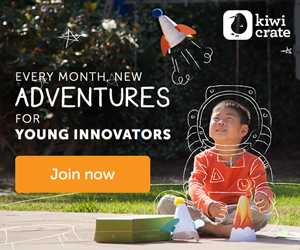 Kiwi Crate is an exciting way to inspire your kids to have fun with some great crafting activities. 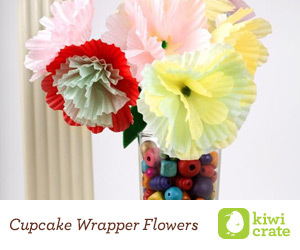 Each Kiwi Crate Box has the ideas, instructions and materials for arts and crafts projects. Everything is right there in the box for you – no need to drive around the craft stores to pick up materials. Everything is done for you, so your kids can just open the box and start with the fun activity. Every box has materials and inspiration for 2 or 3 activities. Click here to see sample crates ››. You can get a Single Kiwi Crates or sign up for a Monthly Subscription. Prices start at just $16.95 per month. Get Your First Fabulous FabKids 3 Piece Outfit For Just $25!